That Miya-sama and Saint Juste-sama are sisters not only adds a level of taboo to the series (a live action version of this series would be great for HBO! They can pair it with Girls!) but also intensifies the cruelty of Miya-sama’s abuse. That she would do this to her own sister is depraved and horrible and locks Miya-sama in as an incarnation of twisted evil, an evil that has left Saint Juste-sama as a nervous bundle of delusional neuroses and drug addictions. 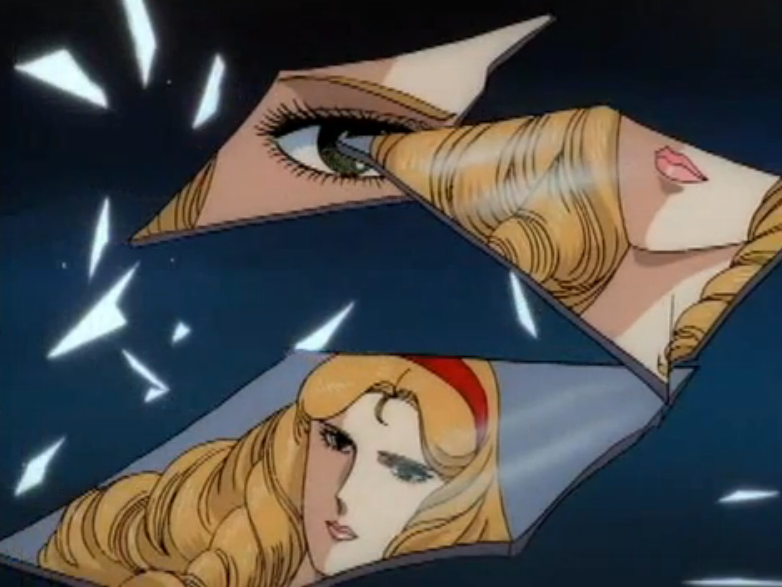 But to return to melodrama, even if Miya-sama is nothing but twisted evil, she isn’t this without a reason, a motive. She is cunning and manipulative, but in melodrama, there are no motiveless malignities. If you are broken and cruel, someone or something has broken you and made you cruel. It may have even been a defect, for want of a better word, that you were born with—but some inciting incident had to bring it to the forefront and make it the dominant force of your personality. We lack that motivation for Miya-sama. We don’t know what is driving her cruelty toward Saint Juste-sama, nor her agenda with Nanako (and I am convinced that there is one). At this point, I don’t want to theorize about her reasons. The obvious choice, absent and/or abusive parents, seems too easy, and has already been assigned to Mariko (no need to repeat it), but it’s the only one that springs to mind. Whatever it is, I’m sure it’ll be just as explosive. There are silver linings to this cruelty. 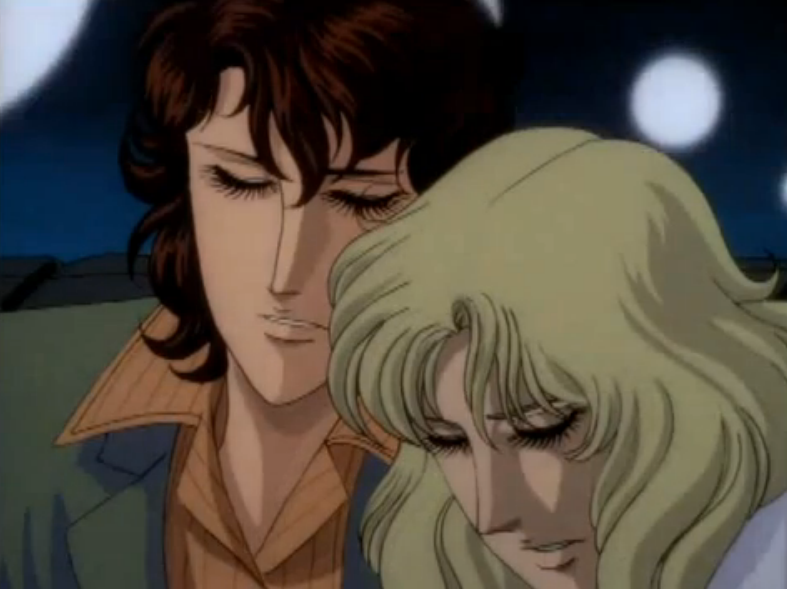 Saint Juste-sama continues to spiral deeper into her fantasy world to cope, a pastoral European village with, of course, an elm tree (the elegance of the suicide story to solidify the nature of Saint Juste-sama and Miya-sama’s relationship is wonderfully fine). Meanwhile, Kaoru and Nanako’s attempt to save her provide small rays of hope, in their own ways. I love the charming innocence of Nanako’s picnic basket, as if a salad, some delicious sandwiches, and a Thermos of coffee will make it all better, but it speaks volumes about her character, and how despite the challenges she’s faced thus far (I’ve no doubt that the worst is yet to come), she maintains her optimism. If there’s one reason to love this show, however, it’s that it doesn’t allow this optimism to go unquestioned. It’s one thing for us, as the audience, to see Nanako pushed to her limits, but it’s quite another for Nanako to question herself. While I’m normally not a fan of excessive amounts of voiceover, the series’ conceit allows it to feel organic. So when Nanako begins to interrogate what her meaning of friendship is, her acknowledgment that the friendship exercised between her and Tomoko is selfish and young, it’s a turning point for her, a growing moment. Sure, she’s still a little kid who lies to her parents and her senior classmates, but as much as this series is about the secrets between people, it’s also about Nanako growing up, and this is part of that. That Kaoru’s maturity prompts it is all the better for Nanako. While she may be hiding a secret about her medical problems, Kaoru isn’t letting it destroy her, and she will not allow other people to waste their lives when she was so very likely to lose hers. She’s tough but loving, trying everything in her ability, from threatening to destroy the bracelet (“You’re shackling yourself endlessly with this!” to stripping down to keep a shivering and feverish Saint Juste-sama warm. There’s a complexity of emotions here that you don’t often find in series about teenagers from any country, and Oniisama e… is all the better for it. Saint Juste-sama’s daggers making a come back. I howled with delight at the the over-the-top use of them, but, again, the excessiveness of it fits the series. I then got really sad as Saint Juste-sama went from steely-eyed glance to crazed-eyed fixation when putting the bracelet back on her wrist. “If Miya-sama gets angry, it’s a big problem.” Understatement of the series. Thank goodness for Tomoko. I’ve said it before, but her presence in the series is such a necessity. It’d become oppressively dark without her. Between her joyful willingness to lie to the Sorority members to her over-dramatic speech about impending midterms. She leaves me in stitches every time.